Christmas is coming and I cannot wait for it, it's my favorite part of a year :) So I'm looking for a perfect dress for Christmas Eve. 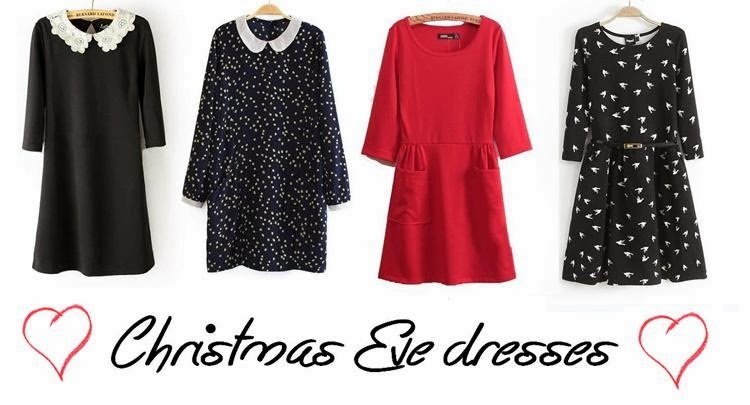 I picked some perfect dresses from Persunmall: first one, which I'm absolutely in love with, black with cute collar, second one also with collar, really pretty, the red one because Christmas is all about red color and the last one with bird print which I think is cute. I would go for first one, what you think? Z kołnierzykiem jest przeurocza;) Pozdrawiam! The first one is my favourite! So pretty! Te sukienki są przesłodkie i przepiękne! Widzę siebie w pierwszej albo ostatniej.